Erik is a healthy 48 year old with spastic diplegia, a type of cerebral palsy that primarily affects his legs. The following is his story of dramatic change in just 3 days. Cerebral palsy was a central part of my childhood. My parents were great advocates and insisted that I have surgeries, therapy and treatments like patterning. But after high school, CP was no longer as central to my life. I launched a career, got married and had kids without ever spending much time treating or thinking about my CP. But things kept happening with my body that I didn’t like, things that I knew were related to CP. My knee was occasionally very painful for weeks at a time and would sometimes give out on me. My hip would spasm or my back would seize up. Being in crowds or around small children or animals made me nervous, as quick movements in my vicinity would upset my balance and sometimes make me fall. I fell in public more often than I wanted, and I hated the stares and even the kind questions from people wanting to help. I had the discouraging feeling that a lot of people never saw past my disability. I worked out regularly and I had a demanding job. But when I sought help for injuries doctors seemed to look only at the body part that was bothering me and never at how my body worked as a whole. I occasionally saw a physical therapist and got massages, and Pilates helped a lot. Twice I called the cerebral palsy clinic at the children’s hospital where I live, but I was told they don’t see adult patients. I knew I needed something more, but I had no idea where to find it. The professionals I saw talked about managing my symptoms, but no one ever suggested that I could vastly improve the way my body worked and alleviate many of the symptoms of CP. I was left with the impression that things would slowly get worse, despite my efforts to stay in good shape. Last year my back spasms were so bad that I would collapse and spend days in bed. A doctor I saw said that decades of tight muscles and a choppy gait had taken a toll on my body and I could expect problems like this to start occurring more often. A few months later we spent a long weekend with Pia Stampe, a physical therapist Karen recommended, for a three-day, life-changing intensive session. Pia was the first person who seemed to look at my body as a whole and could explain how, for instance, tightness in my pelvis cascaded into difficulty with my gait and pain in different parts of my body. Unlike most appointments that might last 15 minutes, I met with Pia three times for three hours each day. The schedule allowed Pia to really assess my condition and create a tailor-made recovery program that addressed my specific challenges. After a thorough assessment, Pia began to work on me. I wish everyone could experience the feeling I had on the mat when, within a relatively short period, my legs and pelvis were put in a more relaxed position than they have ever been. It was a euphoric relief, and it felt like a hardened crust being removed from my body. Each long breath in a darkened quiet room, with Pia’s firm and gentle hands rocking my muscles as if I was an infant, brought on a wave of relief. While I knew I had very spastic muscles, I never knew that a slow and systematic rocking of the muscles could prepare me minutes later to stand straighter than I ever have. The release was more than just in my tight muscles though. The release was letting go of the years of frustration and coping. The moments as a child when I worked so hard to be included in many activities. It was the release of feelings about the frozen stares from strangers trying to figure out what must be wrong with me. The embarrassment of falling in public places and not wanting the attention from those who kindly offer help. The memories of frustrating trips to doctors as a kid when I was told to come back later when they could do surgery. It was all there leaking out from my body and into the mat. Then the tears of emotion came. The emotion of the love for my wife who recognized that the piecemeal approach to my healthcare wasn’t going to be good enough for me or for her. There were tears of joy knowing that I can have some say in the quality of life moving forward. We worked on gait training and created a long-term plan to build on our initial accomplishments, a plan that includes heat, stretching, gym and water exercises. We have a long-term goal of using Botox and taking advantage of lessened spasticity to strengthen my muscles. I am grateful for having the discipline of fitness for my entire adult life. Now, my fitness and my activities are done with greater purpose. Each day brings a little reminder of how things are different, like how my feet now sound different hitting the floor. Friends and colleagues say already that I look taller, and I have a looseness that I’ve never had before. My body and mind are ready for the work, and I am eager to see how much progress I can make. You may contact Erik directly zimmermancoaching@gmail.com or by writing a comment below. Hi there I have twins with cp, PVL due to premature birth. My one daughter stands just like this fellow… Is there someone you can recommend I take her to here near Vancouver bc? This is awesome news! Very happy for you, Erik… and looking fit! Eric, I am so glad you were able to find help at 48 to combat aging with CP. I am 62 & have spastic diplegia CP. My battle started in my early 40’s, but could not get my doctors to think outside the box. I did start going to the gym & crossed paths with a trainer to work with & have managed to continue walking with the help of a rollater. I cried as I read about your pain issues. I can relate to all of them. At this point in my life, not sure what else to do, but am so happy for you. You keep up the good work & may you be blessed with improvement & high expectations of what your aging body can do despite CP. Thanks so much for your comments. I appreciate your writing of things being a battle and looking for doctors who think outside the box. I would suggest attacking your wellness from as many angles that you can afford or have time for. It is so important that we have partners is our wellness who are committed to the end goal. I know no two situations are exactly the same, but it is really important for me to have someone to assist me stretching, another person I go to for Pilates and a really good massage therapist who knows, not just how the body works but how my body works. Finally, there is the work that we need to do. Do the work, stay informed through such things as this blog and believe in the power of incremental change. This is a great post. There needs to be more information available for adults with CP. I have spastic diplegia and am 41 years old. I can relate to your story Eric as my parents were also great advocates for me as a child and I had several lengthening procedures that were helpful along with a ton of PT. My CP was not a big deal in my life after I graduated from high school and went to college. I walked independently and was very functional……until around age 35. I had just had my third child and felt more and more limited by my spasticity. I needed to use a cane after a few more years because my balance was poor. I was exercising and went to PT with no functional changes or improvements. I had SDR with Dr Park a year ago and was very happy with the results. My spasticity has been greatly reduced and it is much easier for me to move. My energy level improved as I was no longer “fighting” my tone. I was walking without a cane on indoor surfaces and many outdoor areas. I experienced a lot of movement in my hips and was working on gaining control over them. I still had some questions about my range of motion and went to see Dr Nuzzo. He recommended SPML on my hamstrings. I had the surgery in August which has not been a good decision for me. While I have excellent ROM in my hamstrings…..I also lost even greater control over my hips and have a lot of hyperextension in my knees. I am almost 6 months post op from SPML and am walking with 2 canes. The loss of function I have experiences has been terrible. After SDR my legs felt like they “floated” up stairs….it was so easy to do stairs. Now I can barely clear the steps when I lift my legs. 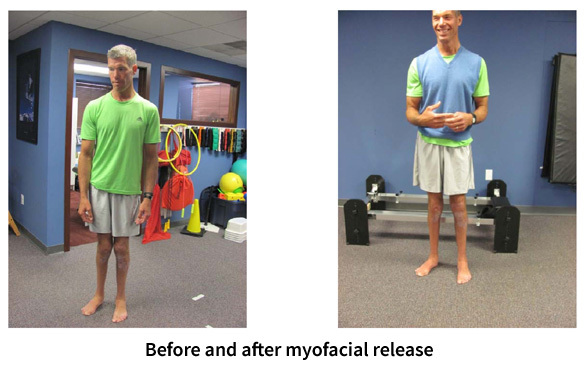 Here is my question….after SDR I did Body weight support treadmill training at Magee Rehab in combination with a lot of PT and working out on my own. I was discharged from PT 2 months after SPML because I basically plateaued. Do you think the treadmill training could be helpful again? I’m at a loss what to do and frustrated. I gained so much after SDR and now I have only moved backwards since SPML. I realize that I need to learn how to control all of this new movement I have but I’m wondering if that is really possible. Much of it is learning to activate the right muscles at the right time. Karen,I would appreciate any insight you have. Thank you. Thank you for your comment Tricia.It is very helpful to parents of young children to hear your story. I congratulate you on all that you are doing and have a few suggestions that should help. The body weight supported treadmill training is a good idea, but probably more effective would be to get a Wet Vest from http://www.hydrofit.com and do some deepwater jogging. It has the combined effect of fitness, muscle strengthening and re-training your brain to a better reciprocal pattern of movement.There is a free protocol on this site that you can download.http://www.karenpapemd.com/index.php/basic-water-exercise-program/ and http://www.karenpapemd.com/wp-content/uploads/downloads/2015/05/waterexercise.pdf The figures are all of small children, but the same exercises work for adults as well! After 3 pregnancies, you might ask a good PT about a sciatic support belt to help stabilize your pelvis and increase your own body awareness in that area. You might also consider going to see Pia Stampe, PT the therapist that worked with Erik. She works with “children of all ages” and a short intensive with her may help sort out the most important approaches for your situation.http://www.sbstherapycenter.com/#!services2/cctp I think both the procedures you had were good. The problems seem to be more related to the lack of a formalized rehabilitation program post surgery. Thank you Karen! I appreciate your suggestions. Thank you for mentioning aquatic PT. I am a physical therapist and researcher and treat most of my adults with CP in the water and get great results. So much easier to work on balance, strength, gait training etc. in an environment that supports the patient and make it easier for them to move. I find I can progress them to more intense exercise faster in the water than on land….and in a very safe way. Thank you for your comment Debbie. Obviously I agree. I do think that a snug floatation device like the Wet Vest speeds the process along.http://www.hydrofit.com/wet-vest-ii/ It has 4 major advantages. First, it gives trunk support and allows the person to attain neutral buoyancy with good body alignment within minutes. Second, for poor swimmers, it holds the head out of water. It is not a life jacket and should not be used alone, but I have have had great results transitioning people to unsupported movement as they strengthen. Third, and most unique to persons with CP, is that they can see and feel their underlying neuroplasticity within minutes, evidence of brain recovery that is normally hidden by early learned Habits. I advise a video of walking on land and then jogging in water to prove the point. It is incredibly motivating! Lastly, the Wet Vest was developed by an athlete and is used now primarily by athletes…this is also very motivating for teenagers and adults. On another note, I would be happy to help if you would like to have some of your graduate students run a few research studies.You can achieve measurable metrics of improvement in as little as a 6 week intervention that can be done a a group activity for even more motivational “bang for the buck”. Great experience for the developing researcher of the future.